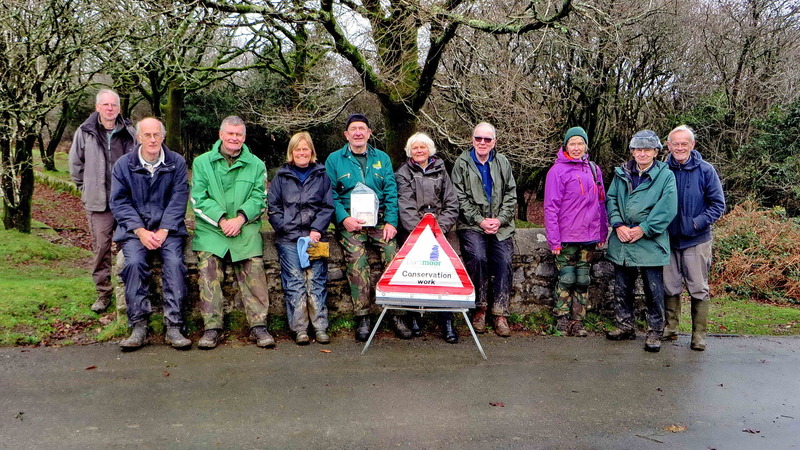 Friday 12th December was something of a special day for the DPA leats project on Roborough Common – we finished the task on the Devonport Leat which was to complete the whole ‘run’ of the leat from Yelverton towards Plymouth until it meets the A386 main road. This means that we have finally cleared the whole 3.5 km section. Latterly, we have gone over a section previously done by Tavistock Taskforce – where they had cleared growth in the leat – where we cleared the banks out to about two metres. That was one landmark. A second landmark for the day was that we moved on to the very last section of the Plymouth (Drake’s) Leat where it leaves the Common at it’s western edge. This is only a length of perhaps 30 metres and we nearly finished that as well – this would mean DPA would have done 3.67 km on that leat. 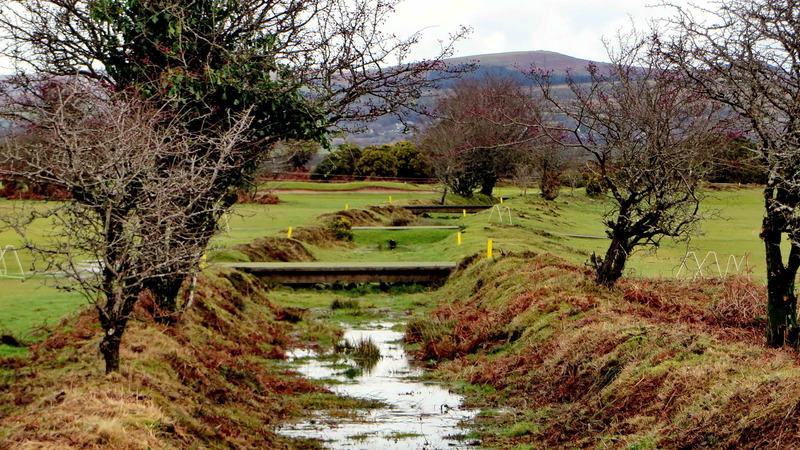 The final section of the Devonport Leat to be cleared – golf course bridges can be seen in the distance. 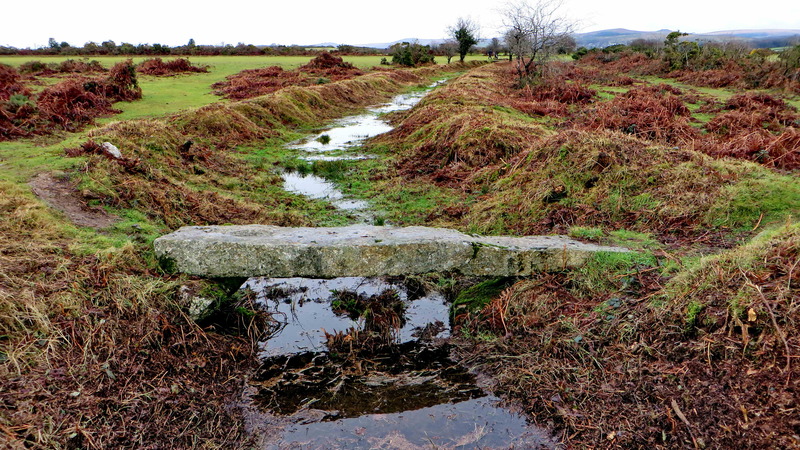 The photograph above shows the Devonport Leat almost flowing again, after a night of storms and heavy rain. Luckily, the final weather forecasts were correct in that the rain stopped around 9 am and we started at 10 am! The volunteers present were: Bill Radcliffe, Chris Francis, David Auty, Derek Collins, Ian Aldersley, John Lucas, John Francis, John Viant, John Watson, Keith Ryan, Rachel Watson, Stephen Barrow, Sylvia Hamilton and Val Barns – 14 in total. Special thanks to Rachel for supplying both fruit and chocolate cakes! 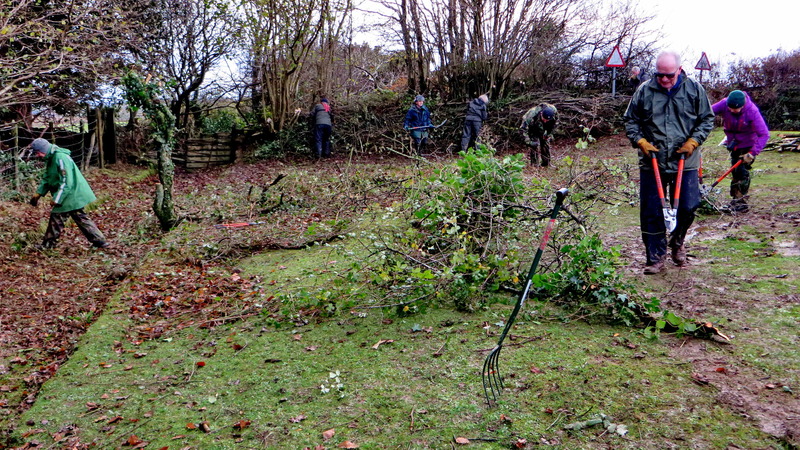 DPA volunteers stopped at the nearer of the bridges – where golf course markers can be seen. The radiating lines from the top of the photograph above are seemingly rare items at the moment – sun rays in the height of summer! 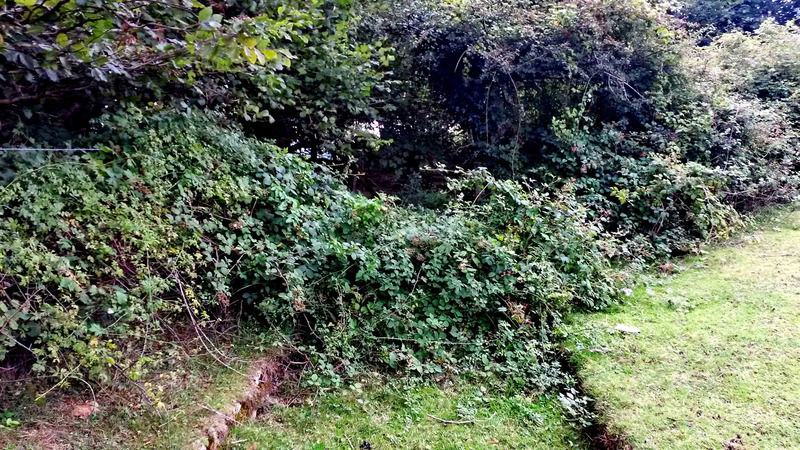 The leat can just be seen at the left of the photograph. 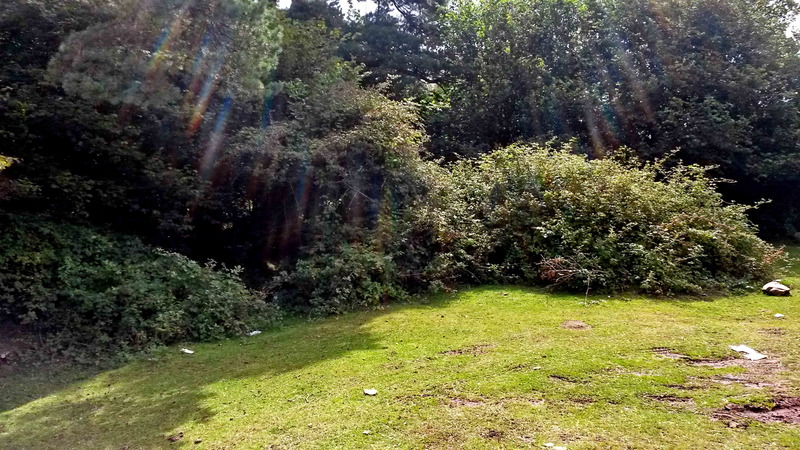 Same area as the photograph above, after the DPA volunteers had cleared the brambles and some of the hawthorn. 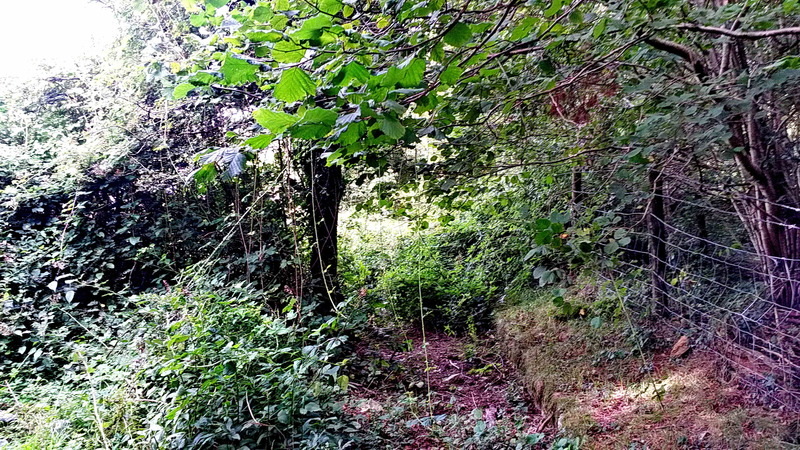 Again, the Plymouth leat can be seen at the left of the photograph. Building cuttings into a habitat pile. A lot of the cut material was cut smaller and built into a habitat pile for the benefit of insects, worms and perhaps other wildlife as it slowly rots away. An overview of the work area. As can be seen above – the walk from the cars to the Plymouth Leat working area was not very far! Looking back along the leat to the small road bridge. 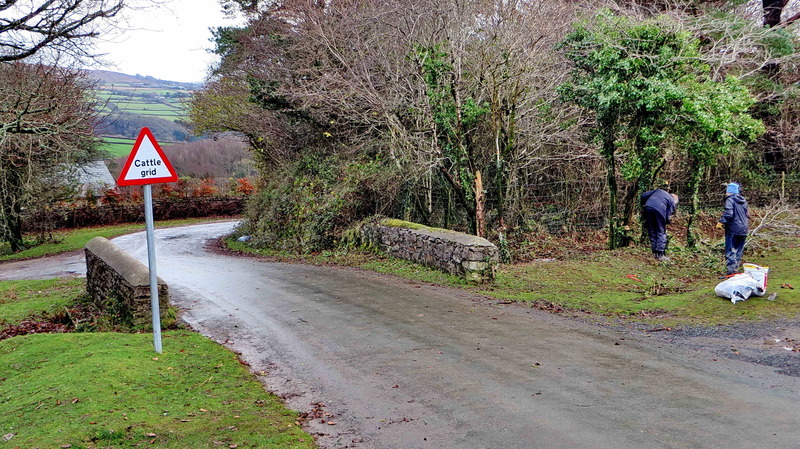 The road bridge, partly cleared. Towards mid-afternoon, the work party was brought to an end because, while there was still some heavy sawing to be done, it couldn’t be completed today. 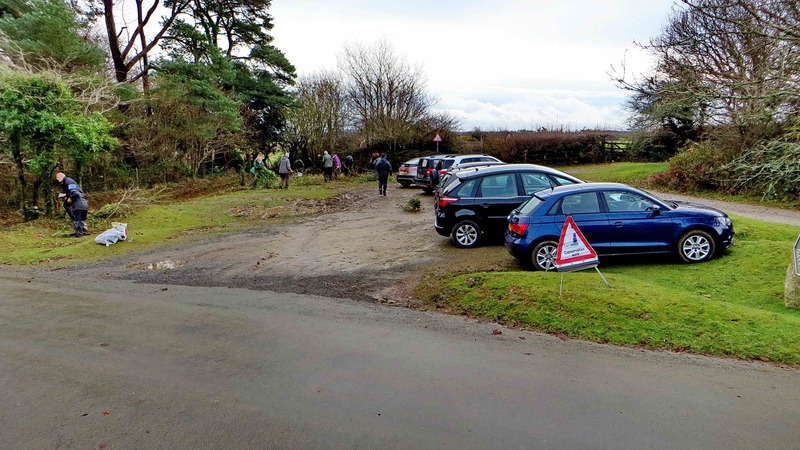 The day’s DPA volunteers, less two who had returned to a different car park. 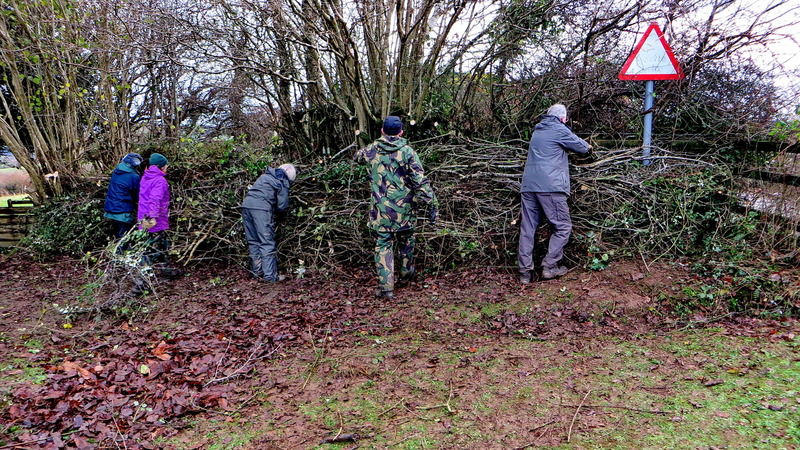 This photograph shows the volunteers about to leave …..
Chris and John, who were not in the group photograph. 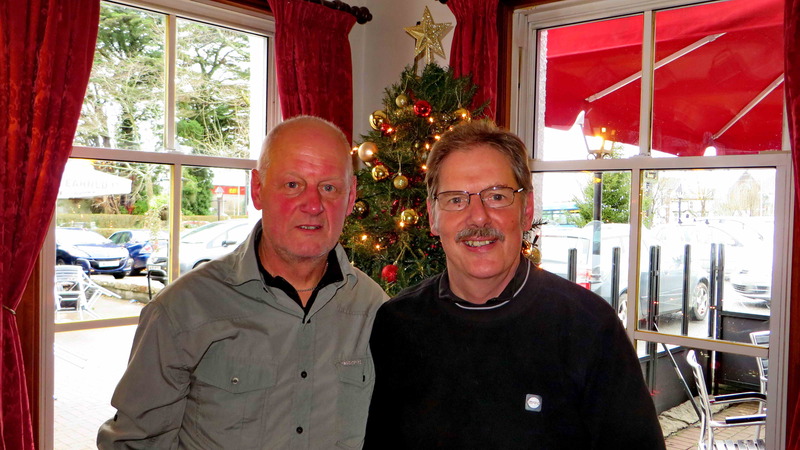 Most of the group reconvened at The Rock Inn, Yelverton, for a period of recovery and refreshment before going home. Finally, thank you to everyone for your efforts through the year – have a well-earned, happy festive season.